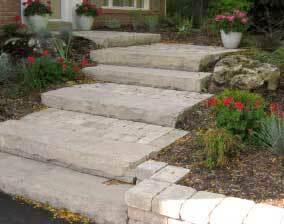 Peel Landscaping was established in 1989 as a full service landscape company. Our focus has always been and continues to be customer service and superior workmanship. We are proud of the growth we have experienced over the last number of years and clearly recognize that this has only been possible due to our dedication to quality work and customer satisfaction. Our standards are most often higher than that of our clients. We currently service customers in the Caledon, Orangeville, Mono and surrounding areas. We know the value you place on your property, and treat every project as if we were working on our own. Our team of dedicated employees are skilled in their field and our attention to detail is evident on every project. From the moment you first contact us, you will be treated with respect and all your questions and concerns will be addressed. It is our pleasure to bring our services to you.